We make your life simple by being the easiest to use, tracking compliance and saving you money. THE ONLY MOBILE TIMECARD SPECIFICALLY DESIGNED TO HELP MANAGE MEAL BREAK COMPLIANCE. myEtimecard's system is specifically designed for California labor law compliance. Missteps in compliance could cost you your business. With myEtimecard, overtime and meal breaks are automatically and correctly calculated. It is always accurate, easily accessible and exportable. 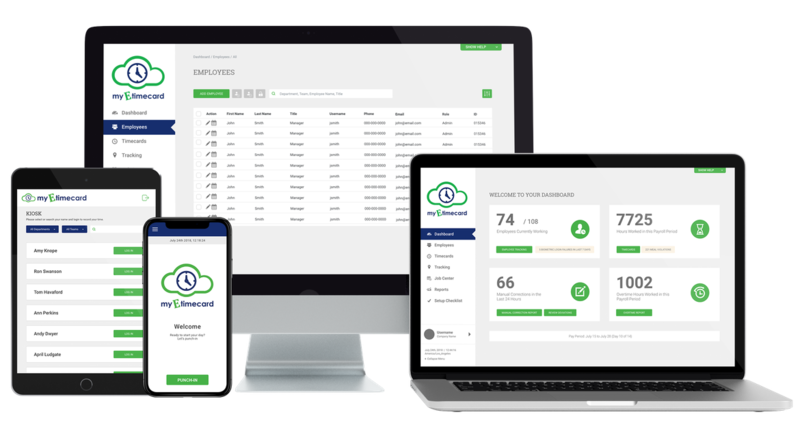 Take job management to the next level with myEtimecard's Job Center. 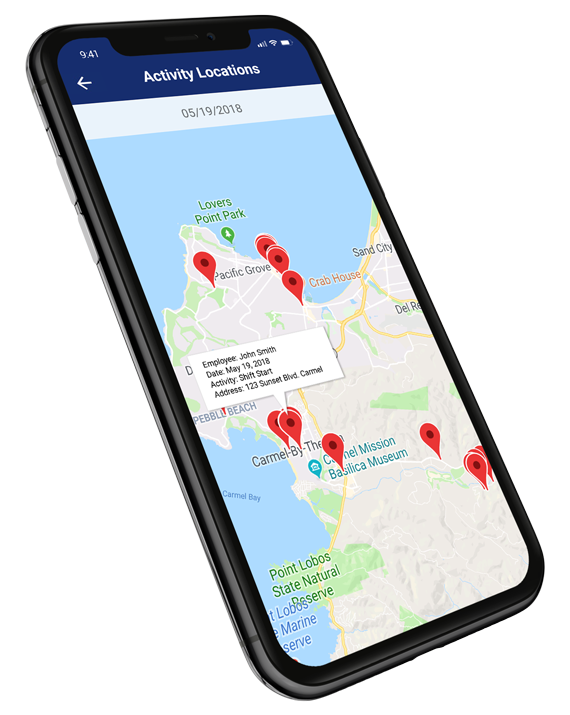 Your Employees use our mobile app to crowdsource their location and service line items into the cloud. 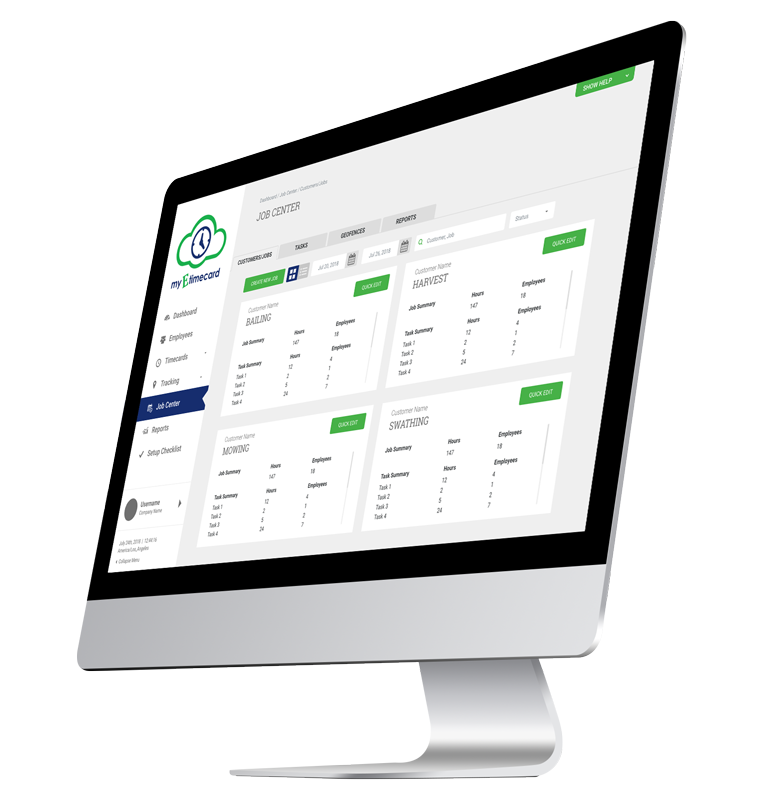 Our software then assigns hours to correct customer, Job and line item in real time making invoicing a breeze.Visually digest all of your projects and their statuses at glance using Dashboard. Finally, take advantage of our powerful reporting suite to get extremely robust insights into operations. Always see who is on the clock and where they are. The Current Tracking module displays a list or map view of all employees on the clock. View any employee's historical location data in the Historical Tracking module. "My daily workflows are finally quick and easy to perform. I also enjoy being able to see where my employees are when needed." © 2018 VendorVer. All rights reserved. VendorVer and myEtimecard are trademarks of VendorVer Inc. myEtimecard powered by VendorVer.